As the entire Province is aware, our much loved Provincial Grand Secretary of many years standing, VW Bro Bill Balderstone, passed to the Grand Lodge Above on 28 January 2016. He will be forever missed. At the Provincial Festival held at the Franklin Rooms, Gillingham, on Friday 10 June, the time had come for the RW Provincial Grand Master to invest VW Bro Bill’s successor. In a very poignant act, VW Bro Brian Holland acted as cushion bearer and delivered the PG Secretary’s collar to the PGM. VW Bro Brian was Provincial Grand Secretary (of much distinction) before VW Bro Bill. It was therefore most fitting that he should present the collar for it to be passed on to the new incumbent. The PGM offered his sincere thanks to WBro Chris Boak for his outstanding efforts as Acting Provincial Grand Secretary since VW Bro Bill’s passing. WBro Chris had worked very hard and effectively to hold the Province together after it lost VW Bro Bill. The PGM then invested WBro John Linkin as Provincial Grand Secretary to the acclamation of all present. 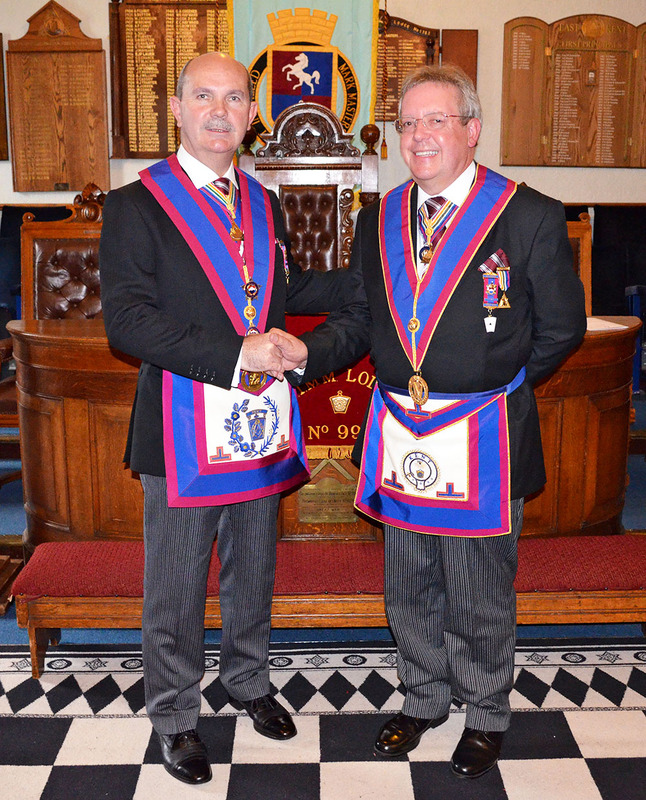 The PGM stated that WBro John had been an easy choice given his proven capacity in the role of secretary and his ongoing commitment to the Province. In turn, WBro John thanked the PGM for the confidence shown in him. He acknowledged that following VW Bro Bill will not be easy but that he is totally committed to serving the Province to the best of his ability. Everyone was left feeling that we had witnessed a new dawn in the era of the Mark Province of Kent.